Seattle Immersive Theatre had a little something special all wrapped up for you this holiday season! Notable local playwright Kelleen Conway Blanchard and award-winning director Paul Thomas, together with the Seattle Immersive Theatre team, gifted you this scary-merry holiday happening that plunged you directly into the Christmas demon’s realm. 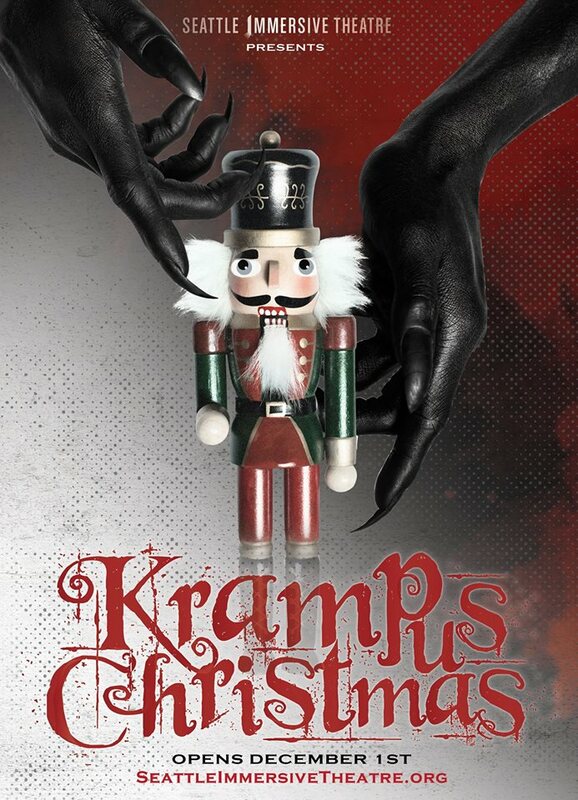 Krampus Christmas unfolded as a kind of carnival ride through your Christmas nightmares. Krampus, Jolly Saint Nick's devilish counterpart, punished the naughty while you explored a world where you could peek through the walls, make your way through the Christmas present maze, and explore the eerily beautiful snowy wonderland. Krampus Christmas invited you to a darkly funny immersive experience of holiday justice, plunging you into a multi-sensory spectacle- if you dared. With a terrifyingly jolly elf as your guide- you lived the nightmare along with all of the other bad girls and boys. Ever wondered what happens if you’re on the naughty list? 2017 Gregory Award Nominee for Outstanding Scenic Design and Best New Play.